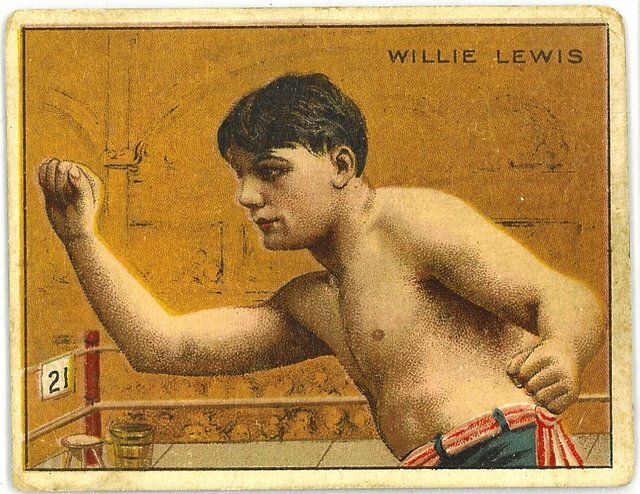 T219 Willie Lewis. The T219 set is a cut down version of T218 with only 50 boxers. Compare this card with the T218 Lewis image for the cropping. The basic cards in the set are the Honest Long Cut (“HLC”) brand cards. The Miners Extra brand is uncommon. The Red Cross brand is rarely seen.